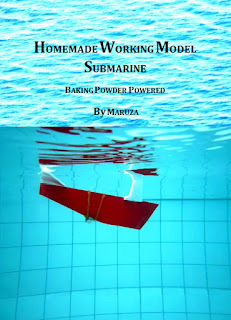 This book is a complete guide to build a beautiful model of submarine that can dive, surface, and move forward without electric power. The submarine design is very simple, yet effective. Nothing complicated moving parts inside the submarine. The submarine is very easy to be crafted by using cheap household materials and can be done by 10 years old kid. The basic principles that support the submarine performance is state of the art technology. 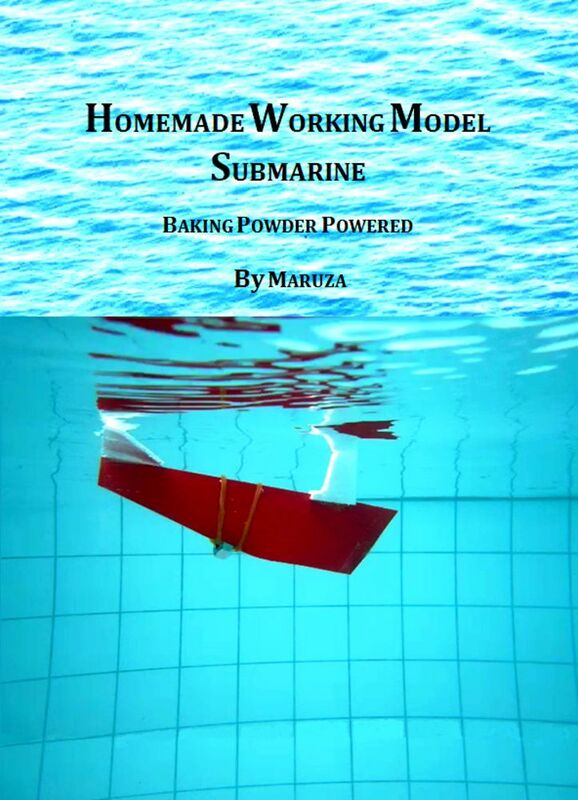 Therefore, this book is a good education for kids or adults who would like to learn about submarine technology. Some submarine designs are tested to find the best performance. This way readers can analyze, compare and hopefully find and create their own design, which could be even better. This submarine science toy is using baking powder as ‘fuel’. Using origami of plastic paper and polystyrene, this submarine looks like a real submarine. View a video about a submarine in action. More info about boats including soap boat, electric boat and submarine, please click 'boat' label in this site.